Sadly, many of our loved ones are serving time. As a gift for your loved one away from home, you can now send them your choice of Teen Angels or Originals Magazine. Your loved one can now do his/her time reading Teen Angels or Original's Magazine, admiring the art, become inspired to create their own patterns, read the dedication you sent them as well as having a publication where they can have their voice heard and have a little piece of the outside. Your loved one can submit their art, poems, dedications or even request a pen pal. Teen Angels can inspire, give them a voice as well as kill the the feeling of being alone while being so far away from their loved ones outside. Great gift for the Holidays, birthdays, or just because. No USPS tracking due to some Jail mail regulations. The envelope packaging is clear and heat sealed with the publisher's return address, to meet correctional facility guidelines. No USPS tracking due to some Jail Mail regulations. Understand that the jail/prison mail system does have it's own process so there will be delays before your loved one receives their magazine. Feel free to contact soulerosball@gmail and or (408) 661-2604 if you have any questions so that we can do the best we can to insure your loved one receives a copy of while incarcerated. Thank you, all prayers are with you. 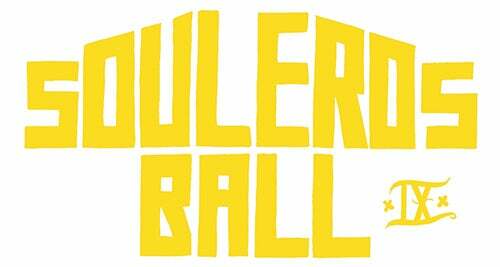 SOULEROS BALL IX MAGAZINE - PRE-SALE!